Purdue University is located in West Lafayette, Indiana, which lies on the banks of the Wabash River and has a population of approximately 32,000. West Lafayette can be reached by car from Indianapolis in one hour and from downtown Chicago in two hours. 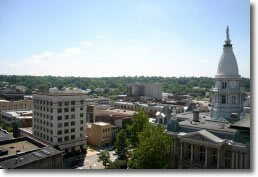 The larger Lafayette-West Lafayette area (population 130,000) is nestled in a predominantly rural area. The local area has shopping malls, restaurants of note, two hospitals, two large municipal parks, and five golf courses. Two of Indiana's larger bodies of water, Lake Shafer and Lake Freeman, are thirty minutes away and feature water sports and beaches. The Indiana Dunes National Lakeshore on Lake Michigan is two hours away. Community groups that offer theatrical and musical programs include the Civic Theater and the Lafayette Symphony Orchestra. The University offers musical, dramatic and athletic events that may be attended by the general public. Purdue University, the land-grant college of Indiana, has achieved international recognition in the areas of agriculture, engineering, and science. Since 1960 the University has greatly expanded its efforts in the humanities, but it remains a predominantly technical and scientific institution. Purdue University is an Equal Access/Equal Opportunity employer. 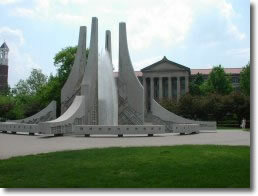 For more information, consult General Info about Purdue University. There are 38 tenured and tenure-track professors, 4 emeriti faculty, 6 adjunct faculty members, 5 visiting professors and 14 lecturers who form the Department of Statistics faculty. Visiting scholars and postdocs from all over the world enrich the group. 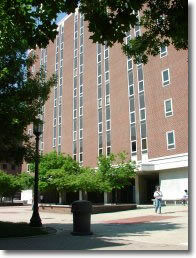 The Department of Statistics has about 348 undergraduate students majoring in statistics and/or actuarial science (a joint major with the Department of Mathematics). The Department of Statistics has 104 graduate students, 71 are Ph.D. Students and 33 are M.S. students. For information about Purdue's overall student population, please see Purdue's Data Digest.